London (AFP) - The driver of a rubbish truck that killed six people when it ploughed into Christmas shoppers in Glasgow city centre said Thursday he had no recollection of the accident. Speaking publicly for the first time since the December 22 crash, Harry Clarke said he fell unconscious at the wheel and cannot remember anything about what happened. 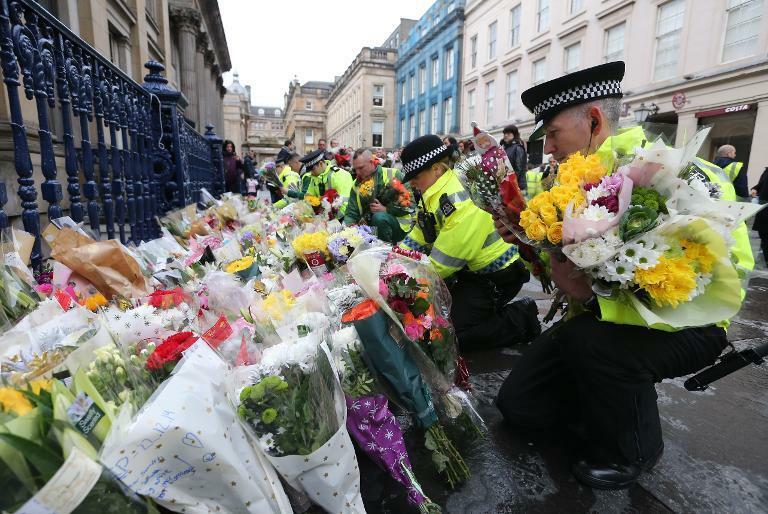 In an emotional interview with the Daily Record newspaper the truck driver said he thinks of those who died "every minute of every day" but could not shed any light on the incident. "I understand a lot of people want to know what happened that day. I wish I could tell you but I can't," he told the Scottish newspaper. "I just want all of the families of the injured and deceased to know I canât remember anything. "I wish I could but I was unconscious. I have racked my brain to try to remember but I canât. I will never know what happened other than people telling me what they saw." The 58-year-old said he is now undergoing tests for a heart condition but had no known health problems before the crash. "Every day is a struggle," he said as he spoke of his grief for the victims. "Nothing will ever be normal for the families or me ever again. I think of everyone every minute of every day." Three members of the same family were among those killed when the truck mounted the pavement before crashing into the side of the Millennium Hotel in the city's central George Square. Ten people, including the driver, were injured and have all now been discharged, health authorities said last week. Scottish public prosecutors are considering whether to pursue criminal proceedings with details of further investigations to be outlined by the end of February.